Spa in Slovenia - Thermana Laško | Thermana d.d. 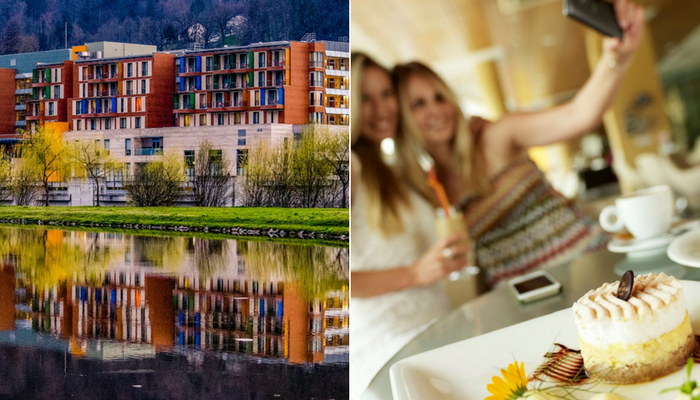 Are you looking for spa in Slovenia with a comprehensive offer of accommodation, various thermal pools, wellness spa treatments and experiences for all generations? Here you will find all the important information, for visiting one of the best Slovenian spas - Thermana Laško. During your stay, you will be in a comfortable and pleasant ambience, where you will be indulged in the embrace of thermal water, themed saunas and relaxing massages. A delicious healthy culinary will take care for meals that will be prepared from seasonal food and will provide excellent flavors. 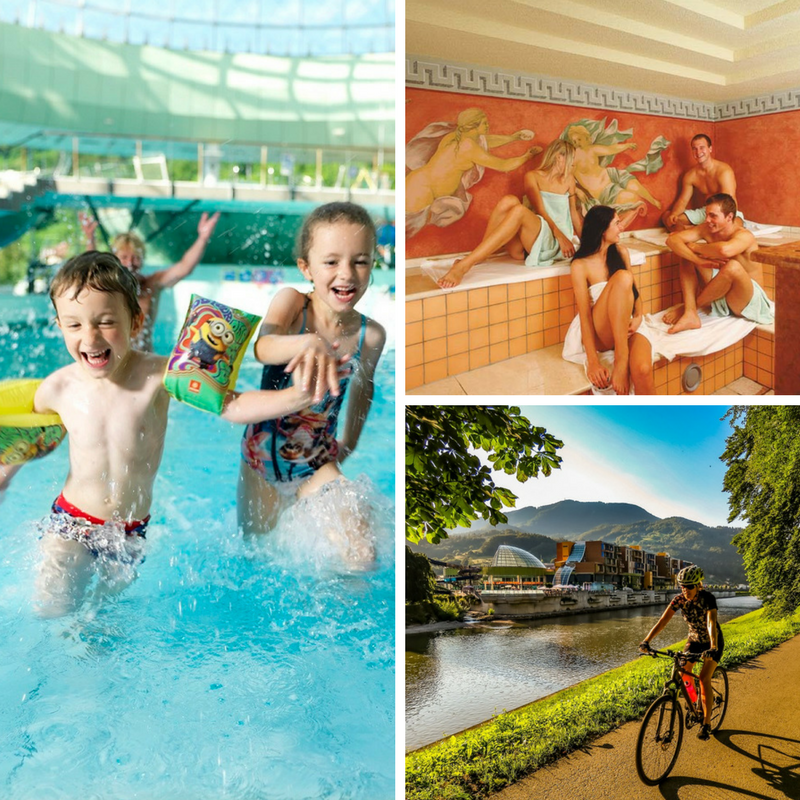 The leisure time will continue with unlimited access to all our swimming pools in the Slovenian thermal spa Lasko. During your stay in carefully prepared packages, we offer you unlimited free entrance to the gym, modern fitness center and unlimited use of Wi-Fi point. You will also receive discount card for our hotel, which will give you special benefits. Rich leisure program, will make sure, that you will never be bored and be able to attend the activities organized by our animation staff. The comprehensive offer of Term Laško, will give you an excellent starting point for cycling trips, hiking, discovering Slovenian culture, fishing and numerous family-colored experiences. We are known by rich tradition of brewing and beekeeping - with the help of saunas and wellness treatments, you will discover local stories that tell about the heritage of Laško, and try our local culinary delights. We are constantly trying to offer our guests something new. One of the latest innovations is the open-air fitness, which lies in the immediate vicinity of hotel complex and Spa Park. Thermana Lasko is also connected with Celje with modern cycling path along the river savinja. Book your holiday today. Possible questions can be also sent to us, via the contact form at the Contact sub-page. See you in Lasko!